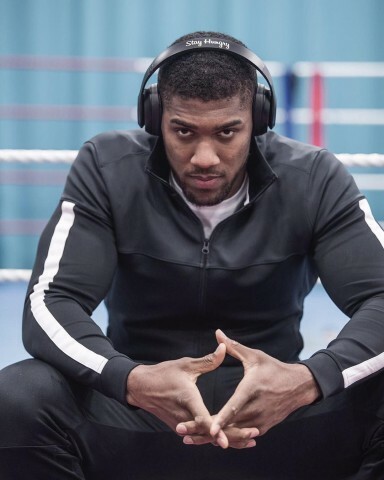 Will Anthony Joshua Take Out Alexander Povetkin on Saturday Night? 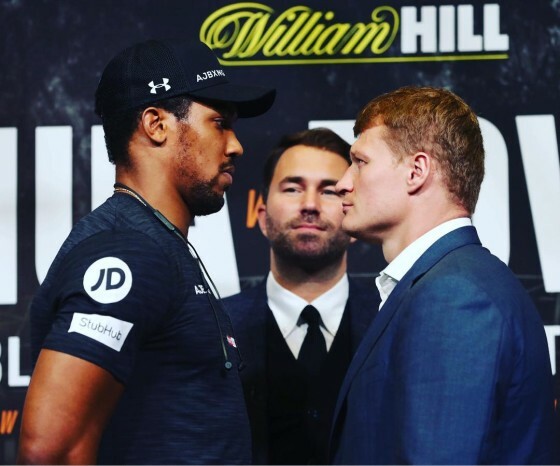 Britain’s WBA, WBO and IBF world heavyweight champion Anthony Joshua will defend his titles against Russia’s dangerous Alexander Povetkin, 39, at the iconic Wembley Stadium this Saturday, in one of UK’s biggest events this year. There is a lot on the line in this fight for Joshua, who looks to go on to bigger and better opportunities; will the unknown Russian cause an upset to Joshua’s plans? This bout initially is initially expected to be able to draw a crowd of around 80,000, and this will be Joshua’s fourth consecutive stadium fight. That shows the magnitude he is at and how he is able to consistently draw high audiences as he looks to take on another victim in an all-out action packed fight at Wembley, London. Anthony Joshua is still undefeated, having recently defeated former WBO champion Joseph Parker over the course of 12 rounds. The bout took place inside of the Principality Stadium in Cardiff, Wales, and Joshua was able to retain his WBA/IBF belts while collecting Parker’s WBO strap with the win. Joshua, 28 years old now, went the distance for the first time yet was still able to come up with enough to score the win. The bout was aired live on SHOWTIME and other worldwide outlets. Scores read 119-109 and 118-108 twice in Joshua’s favor, as he moves ever forward with his popular career, as the 28-year old champion raises his record to 21-0 with 20 knockouts. Parker, 26, the solid former WBO champion from New Zealand, gave a solid account of himself and sees his record go to 24-1 with 18 knockouts. 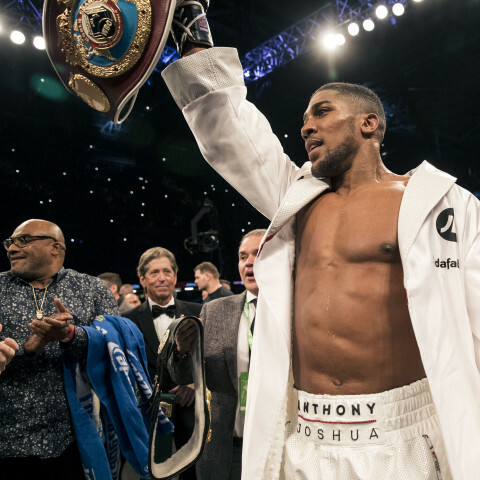 This year’s WBA Heavyweight Super Champion will be decided with a fight between Anthony Joshua and Carlos Takam, which is due to take place in Cardiff on the 28th of October. The venue for this major event on the boxing calendar will be the Principality Stadium – the Welsh national stadium – and millions are set to watch either via pay-per-view or live at the venue. This match is only one of several on the card for the night, but it is clearly the main event, so who is likely to emerge victorious at the end of the fight? This fight was originally supposed to have been between Joshua and Kubrat Pulev of Bulgaria, only for the latter to drop out of it due to an injury. Obviously this is a disappointment for fans, but the title fight will still be going ahead, with Carlos Takam taking the place of Pulev. Takam hails from Cameroon and has a decent career record of 35 wins from 39 fights – with 27 of those coming via KO. Despite this he is a rather unlikely choice to replace Pulev and face off against Joshua, who won the IBF title last year and added the WBA one to it by beating Wladimir Klitschko during the spring of this year.